Their limp body is protected by a shell, which has two parts - these are the bivalves - or a single part - as in the case of :he gastropods. 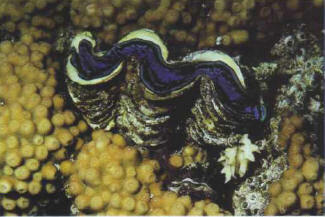 The bivalves half-open their shell - formed, as their name suggests, by two valves - to filter water. In this way they absorb oxygen and capture food particles, particularly vegetal plankton. Keeping them in an aquarium does not, therefore, pose any problems. 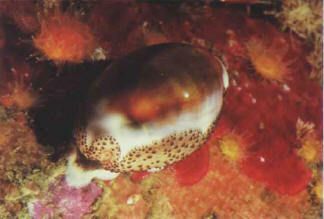 The gastropods, related to land snails, have a spiraled shell which varies in shape, according to the species. An organ in the mouth in the form of a grater, the radula, allows them to graze micro-algae on the decor, glass sides, or plants. This cleaning function constitutes their main attraction for aquarists. Do not, however, expect them to gobble up all your unwanted algae, as they play a more preventive role to restrict their untimely growth. They can sometimes attack the leaves of plants or eat a surplus of the food intended for fish. Some species are carnivorous. МААРИ (наст . имя и фам. Гурген Григорьевич Аджемян) (1903-69), армянский писатель. Сборник лирических стихов; автобиографическая трилогия в прозе - "Детство" (1929), "Юность" (1930), "На пороге молодости" (1955); исторический роман "Сады горят" (1966); мемуары "Чаренц-намэ" (1968).